Everyone gets the news. Reaching out across media, languages and demographics. The post-colonial era in India saw a clear dominance of British-established English dailies. The readership leaned towards a certain type of conventional journalism. And it was in this milieu that we launched Dainik Bhaskar in 1958. With its heightened Indian sensibility and attention to colloquial nuances, Dainik Bhaskar quickly became a household name. Its style of journalism was accessible, sharp and had a quintessentially local flavour. Something India related and responded to. 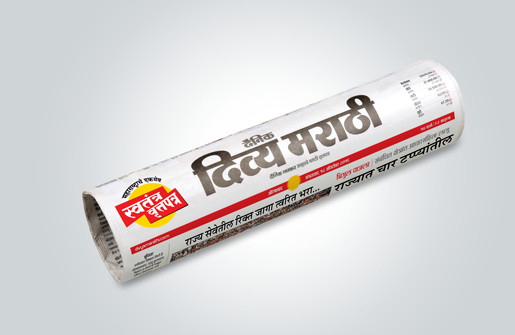 Soon, Dainik Bhaskar became a significant catalyst of national change in news reporting. With 46 editions across 11 states, readership of approximately 4.63 crore which includes 0.12 crore variant readers (Source: IRS 2017 TR) and a series of editorially-altered sub-editions, Dainik Bhaskar connects with India on a vast scale. 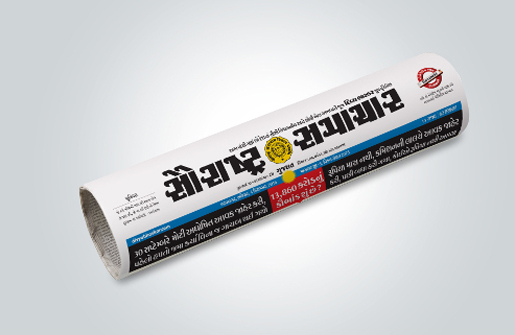 The launch of Divya Bhaskar in Gujarat was a momentous step. 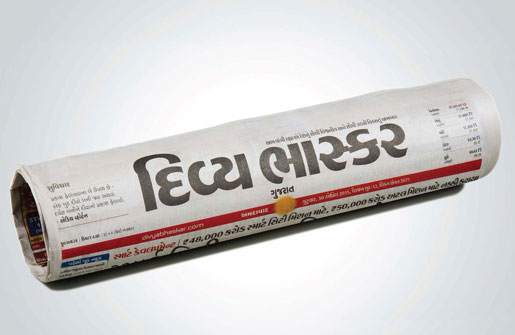 The Group broke the language barrier with the launch of its Gujarati daily, Divya Bhaskar in 2003. 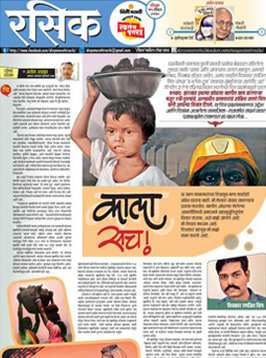 2011 saw another foray into a regional language by the Dainik Bhaskar Group. 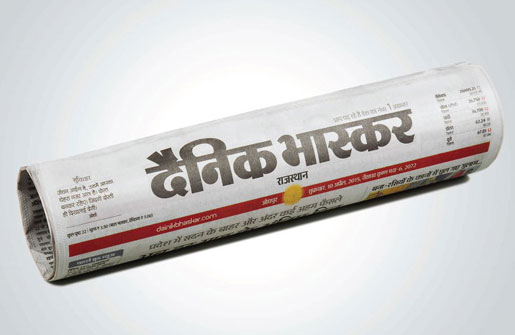 New, independent and courageous, Dainik Divya Marathi rapidly became synonymous with the voice of Maharashtra. With its hard-hitting and bold journalism, the newspaper came to be recognised as Maharashtra��s Only Independent Daily. While the main newspaper addresses larger issues of international, national and local news, politics, business and sports, a series of specialised supplements are also published. From lifestyle articles to sting operations, from modern glamour to urban problems and local grievances - Divya City, Madhurima, DB Star and Rasik cover a vast range of topics and form an integral part of our product base. These supplements concentrate on fulfilling specific readership needs and simultaneously offer advertisers a focused reach to niche target audiences. Growing from strength to strength in Central Maharashtra, Divya Marathi has 6 editions (Aurangabad, Nashik, Jalgoan, Ahmednagar, Solapur and Akola) with a readership of 30.05 lakh readers (Source IRS 2017 TR). The compact daily was introduced in 2008. It is known for its investigative journalism and campaign on social issues. It also covers features on lifestyle and glamour. It is the only compact daily with select pages in English to appeal to the youth. 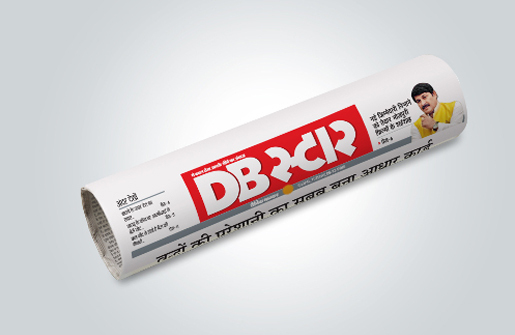 DB Star is available across 3 editions in Madhya Pradesh (Bhopal, Indore and Gwalior) and 1 edition in Chhattisgarh (Raipur) with a readership of 5.30 lakh readers (Source IRS Q4 2012). Dainik Bhaskar Group acquired Saurashtra Samachar in the year 2004. 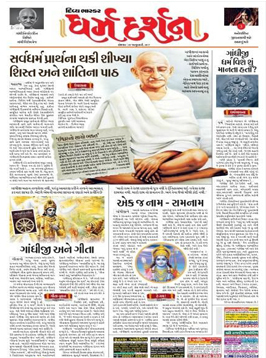 Published from Bhavnagar, with 6.47 Lakh readership (Source IRS 2017 TR), Saurashtra Samachar is a leading premium Gujarati daily for Saurashtra region of Gujarat. We publish a series of periodicals that are especially designed to suit the reading sensibilities of the audiences. From content created especially for children to content meant for the new-age Urban Indian, our magazines and periodicals are relevant, unique and enriching. Aha! Zindagi is a new-age monthly magazine that focuses on the concept of positive living. Its content combines articles for the body, mind and soul, inspiring readers to lead a fulfilling, healthy and positive life. Its unique positioning has established Aha! Zindagi as a best-in-class product in this genre. Young Bhaskar is a fortnightly English children's s magazine that encourages an attitude of learning and exploration through entertainment, cartoons, puzzles, stories and other engaging content for children. The unique content combines education and fun seamlessly, offering children a sharp and holistic learning experience. 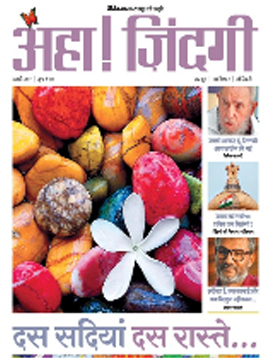 Madhurima is a weekly supplement exclusively designed for women. The broadsheet carries articles on health, fitness, beauty, fashion, relationship and career. The magazine seeks to be a change driver for women in society by providing inspirational, emotional and latest content. Dedicated to our women readers, Madhurima features inspiring empowerment articles with an aim to inspire and applaud the spirit, efforts and success of women. 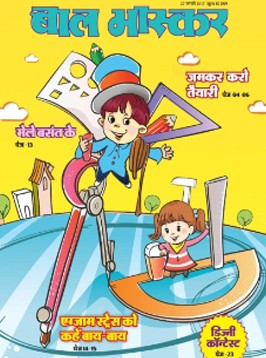 Bal Bhaskar is a fortnightly Hindi and Gujarati children's magazines, which comprises interactive and customised editorial content, with a focus on entertainment, education and activities for children. A warm and welcoming brand, this magazine has etched a place for itself in the hearts of children. Navrang is a 4-page bollywood supplement which gives a sneak- peak to its readers with latest news and gossip from tinsel town. 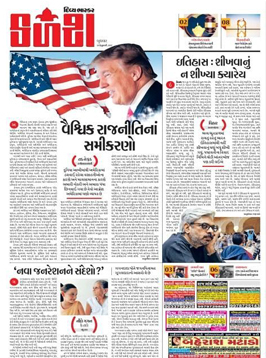 It comes along with Dainik Bhaskar on Saturdays and with Divya Bhaskar on Fridays. The readers get up close and personal with their favorite celebrities through various articles on latest happenings, Bollywood news/gossip and interviews published in Navrang. Dharmdarshan is a spiritual and religious ode. The content delves into religion, spirituality, festivals and astrology helping our readers understand their significance and importance in our lives. Kalash aims to bring social and political issues to the readers. It covers content ranging from philosophy, literature, technology, relationships & travel for the new-age Indian. A complete package for wholesome reading, Kalash resonates with people from all walks of life. Lakshya enables our young readers to define their career choices.Lakshya publishes content on education and career and keeps the readers updated about news & happenings enabling them to make informed career choices. Rasik provides best-in-class content on culture, art, history, lifestyle, customs & traditions for its Marathi readers. The supplement touches a chord with the readers interested in society & life related topics.